Jessica and me at the beautiful Barrington Public Library! 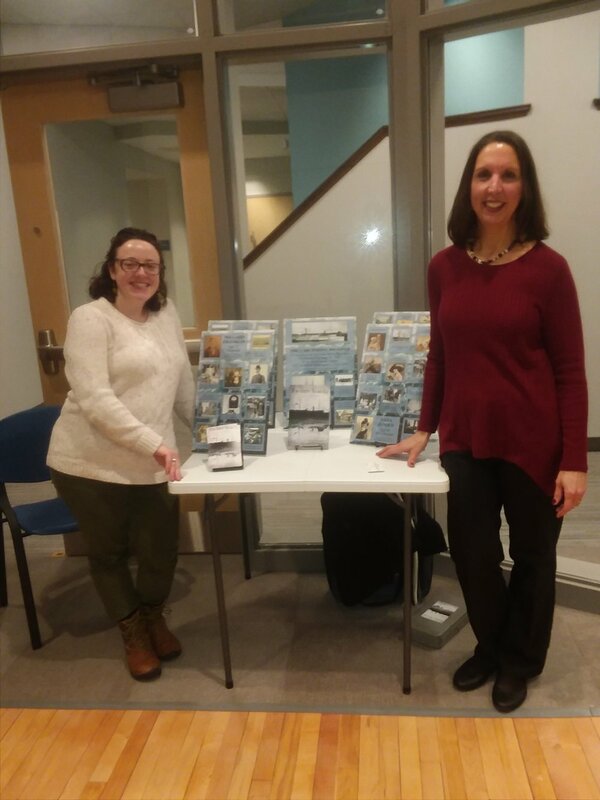 And a HUGE shout out of thanks to Jessica D'Avanza and the other folks at the Barrington Public Library for hosting a great Frozen Voices presentation/reading last night! So many people came out on a chilly night to hear me talk about my novel. Everyone seemed to enjoy the presentation and then asked so many great questions afterward. 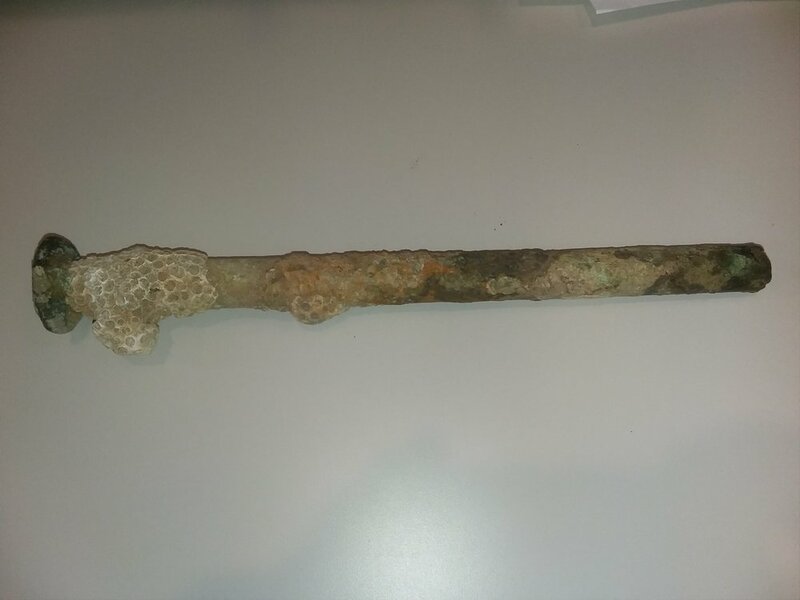 As a special treat, one gentleman who attended, Al Pointe, showed us all a piece of the SS Larchmont, collected from the bottom of the Block Island Sound during a scuba dive to the wreck. Thanks Al! I also was honored to have Howard McVay, nephew of Captain McVay, in the audience last night. After my presentation, Howard graciously introduced himself and shared some of his memories of his uncle. Thank you, Howard McVay, for the opportunity to meet you. The publication of Frozen Voices has provided me with so many new and wonderful experiences for which I will always be extremely grateful.